Discussion in 'Non-India Related Domains' started by cuzican, Nov 29, 2018. I would like to represent to you the domain name of 'takingmore.com'. With this name, you can build a brand around any business that you decide to start. 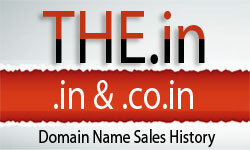 The domain is being sold on a very fair price, as it also has the bidding option in the GoDaddy Auction systems.